We begi n December 18 with the Christmas Brunch. 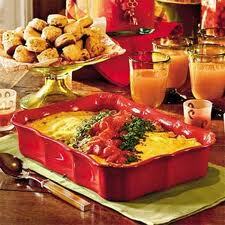 Bring in your favorite brunch dish and we will celebrate the joy of the season with food and fellowship. Brunch is at 9:30 a.m. The Christmas Choir sings the cantata “Emmanuel Has Come” during the Morning Worship of December 18. The name “Emmanuel” accents the fact that God has come to us; God is with us. That is the meaning of Emmanuel. The Christmas Cantata service begins at 10:45 a.m.
T he annual Christmas Eve Communion service celebrates the completion of Advent. The Christ Candle is lit. God comes to us in the manger baby of Bethlehem. We celebrate that significant event but also remember the conclusion of Jesus’ earthly life with His crucifixion for the sins of humanity. On Christmas Eve we celebrate and commemorate both his coming and his going. God comes to us via the manger of Bethlehem. God makes a way for our salvation via the Cross of Calvary. On Christmas Eve, we come to the Table to receive the emblems of the body and the blood of our Lord Jesus Christ. The Communion service begins at 6:00 p.m.
Christ mas Day Worship occurs on Sunday this year. We gather to sing carols and revel in the truth that God has come to earth. God has become one with us. Our Christmas Day activities begin at 10:45 a.m.